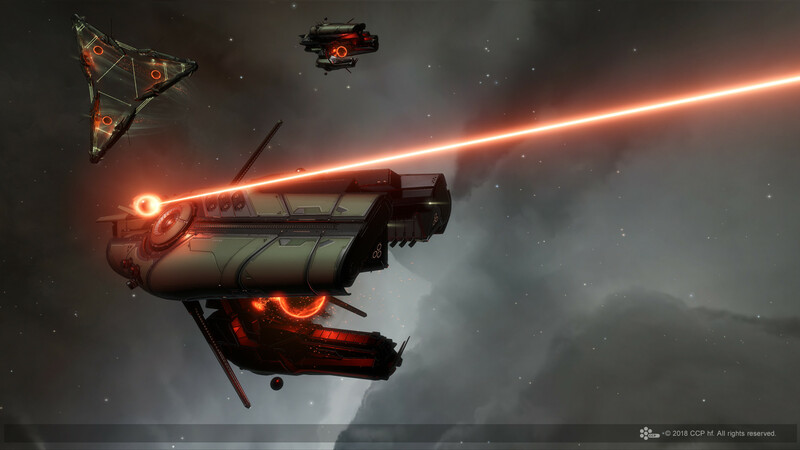 Abyssal Deadspace is now available to capsuleers across New Eden. For a full overview of this feature see this Dev Blog. Abyssal Deadspace pockets have distinct system environments, each with its own effects and visuals. Note: Environment effects apply to player ships as well as NPC ships. Abyssal Deadspace pockets contain a Triglavian Bioadaptive Cache structure, which is the sole source of loot within the Abyss. They have the possibility to contain new technology including Abyssal Filaments, Triglavian Ship/Module Blueprints, Mutaplasmids, and more. Ships will now be unable to activate Factional Warfare capture site acceleration gates if they have a warp core stabilizer fit. All Society of Conscious Thought ships (the Apoteosis, the Sunesis, and the Gnosis) have been updated to display effects like those found on the Praxis Battleship. 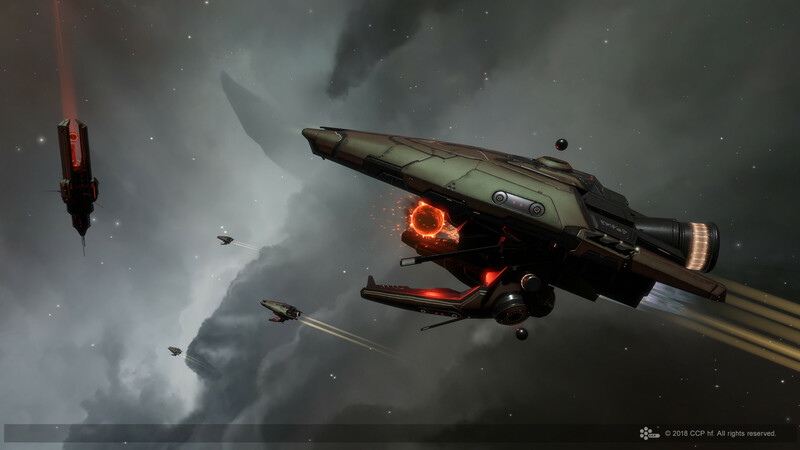 New reccommended specifications for EVE Online are now in effect. See this dev blog for more information. Mutaplasmids are a new type of item which can be used to permanently alter specific attributes on existing modules. Entropic Disintegrators are a new base weapon system used by Triglavians. Notifications are now being sent, when your (or your corporations) assets are being moved to asset safety, for example because your Upwell structure exploded. Added the functionality to CTRL+Click on the planet while in the Extractor Control Unit window to quickly place extractor heads exactly where you want them. CTRL+Click on an already placed extractor head will remove it. Warp button functionality has changed. Outside the planet system it will be “Set Destination”. Inside the planet system it will now warp you to the customs office instead of the planet. A Planetary Production tab has been added to the Show Info for Planetary Materials. This tab will show you what the inputs and outputs of that resource are. An Industry tab has been added to all resources that will show all the blueprints that the resource is used in. UI scaling now supports 175%, 200%, 250%, 300% and 400% for high resolution screens. Guristas headwear can now be traded on the market. Fixed an issue where completed corporate votes would occasionally not have their results processed until the next downtime. It is now possible to unload charges directly to a mobile depot (and some other locations), even if the cargo hold is full. It is no longer possible to unload charges while the module is still active. Fixed a bug which sometimes prevented the creation of a contract, if a T3 cruiser was stored in a ship maintenance bay of the ship, which was contracted. Agent in Space Atma Aulato is now sitting in a Falcon as per the description. All Civilian Modules now require the Thermodynamics skill at level 1 to overheat. “Gallium ample hexa 2500mm repeating cannon” now has 15% higher ammo capacity. ‘Helios’ ship: Damage will now be calculated correctly, taking into account the 10% damage from ‘Light Drone Operation’ skill levels. Adjusted ‘Higgs Anchors’ modules reprocessing materials. Amarr Dreadnought Mastery IV now requires Capital Energy Turrets 5 instead of 4. Sunesis’ show info window will now show the mastery tab. Fixed shadow artifacting on the planets. Prevented missile trails playing through the target’s active shield. Loading 3D characters for preview, character sheet, and character customization screens has been better optimized. Initial loading of game data has been better optimized. Facial hair color will now be correct when previewing headgear items in the New Eden Store. Adjusted the location of several decals on the Rorqual. Loading a blueprint with cleared cached data will no longer generate a warning. Corrected an issue with the port-side bay doors on the Rupture. Fixed cloaking audio effect being played after the effect had been stopped. Corrected an issue with debris particles disappearing when viewing a Keepstar Citadel Wreckage. Siege Modules now clearly state that they only affect Capital size modules. Structures: Pilots that are in outside view when logging off will be in it again after login. The Material Requirements bonus of the Raitaru hull no longer incorrectly applies to Science and Invention jobs. The Standup Focused Warp Scrambling Script can now be unloaded with regular role to take control of an Upwell structure. Fixed an issue where items in a ships cargohold would not be included in the calculations for the ships estimated price (shown in the fitting window). Using the “Remove Charge” option in the fitting window while docked will now always correctly remove the charges to the item hangar. Fitting window: The hardware browser will now open when right-clicking an empty fitting slot and selecting “Set Filter for Slot”. Fixed a case where the wrong sub-menu options were displayed in context menus, for example where the options to invite to a chat channel were displayed in the sub-menu for inviting to a fleet. 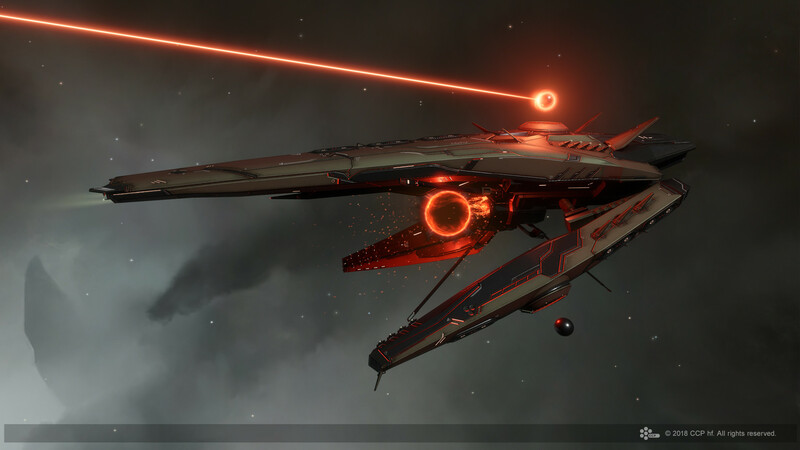 Faction tag will now be visible on the ‘Special Edition Frigates’ icon. Added Standup faction icon to all structure faction items. Fixed an issue that could cause The Agency to show no content if one content type failed. Fixed an issue with the localization of some tooltips in Project Discovery. Improved the performance of loading very long scrolls, for example in the corporation window. Fixed an issue where after switching view mode for results in the “Find Member in Role” tab of the Corporation window, the current results would disappear.